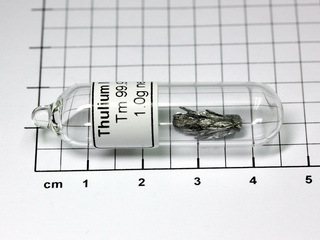 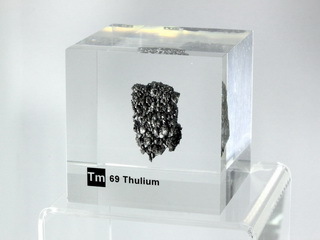 Thulium is the least abundant of the earth elements, and is about as rare as silver, gold, or cadmium. 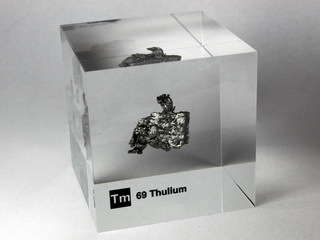 The pure metal has a bright, silvery lustre. 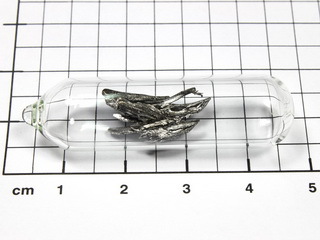 It is reasonably stable in air, but the metal must be protected from moisture. 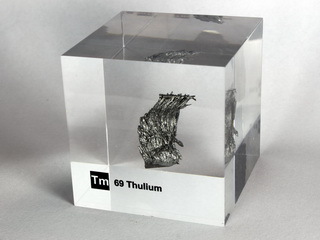 The element is silvery-grey, soft, malleable, and ductile, and can be cut with a knife. 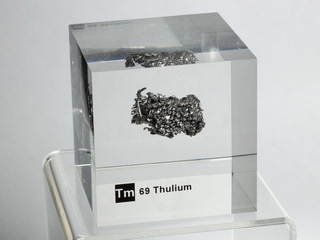 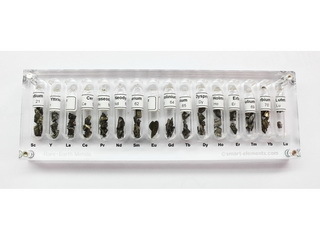 It is a rare earth metal found in minerals such as monazite. 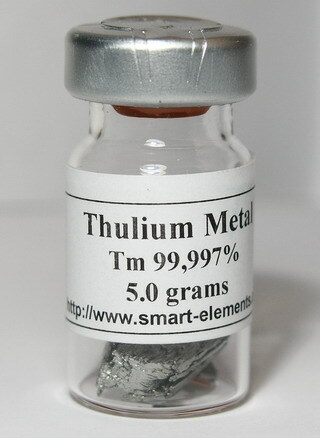 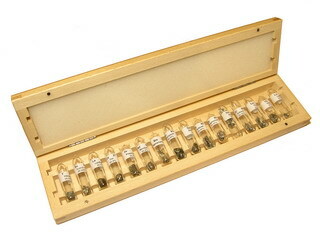 Thulium 3+ doped borate glass bead NEW!